This stunning card is from my friend Jenny Garlick who is on the Heartfelt Creations design team and this card certainly showcases their product and her talent. 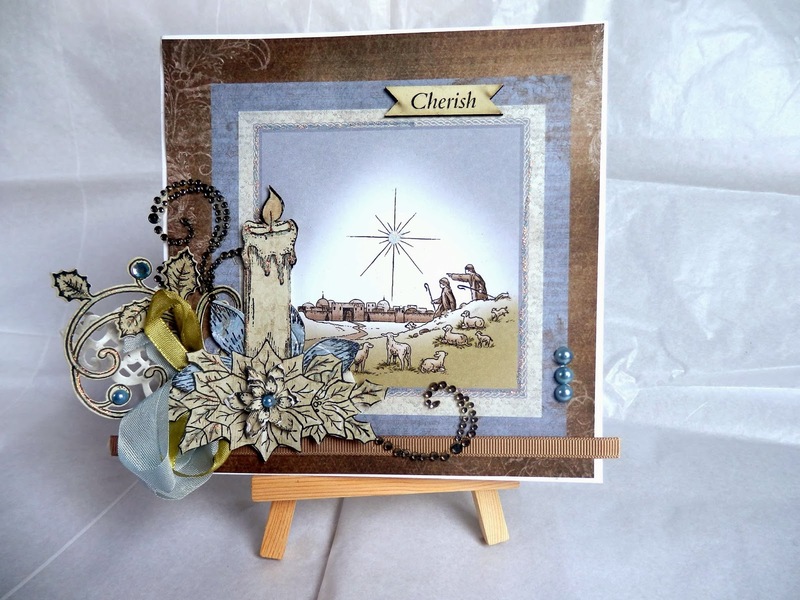 This beautiful card was made by my friend Maria, with whom I used to work in our local scrapbook store. 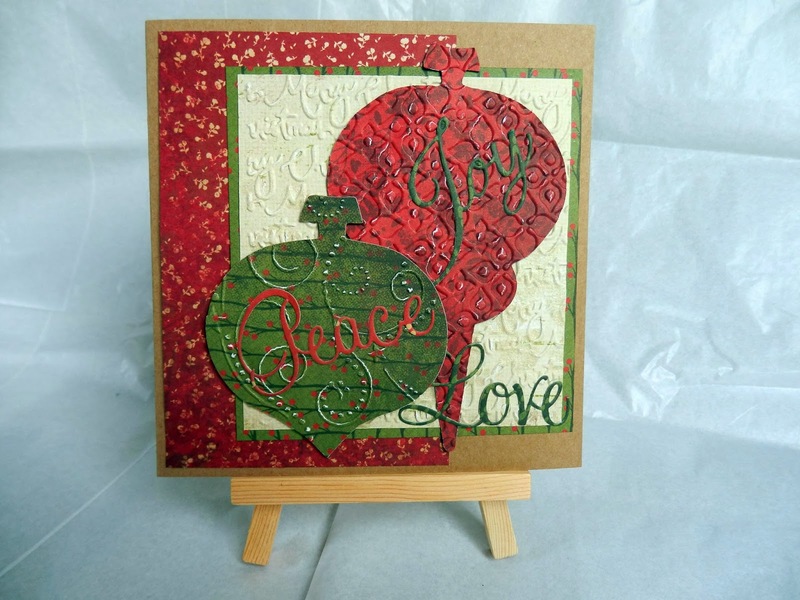 She says her forte is scrapbooking, but I think her cards are amazing too. And finally (for now) this lovingly created card from my other Jenny friend. 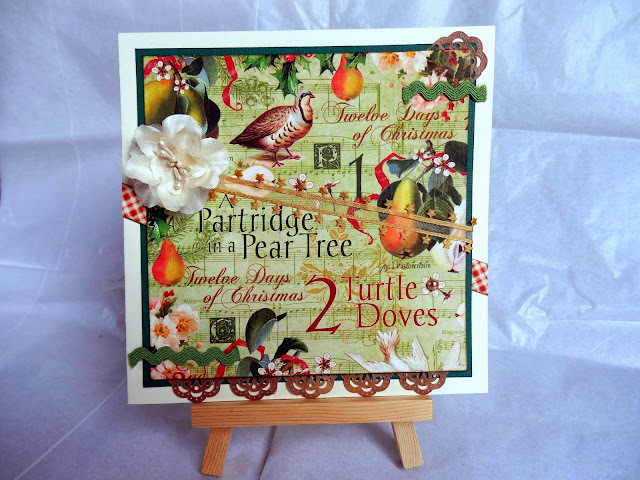 She has gone to a great deal of trouble to make a card that is special for a number of reasons...I love pears, I love the 12 Days of Christmas song and I love Graphic 45. 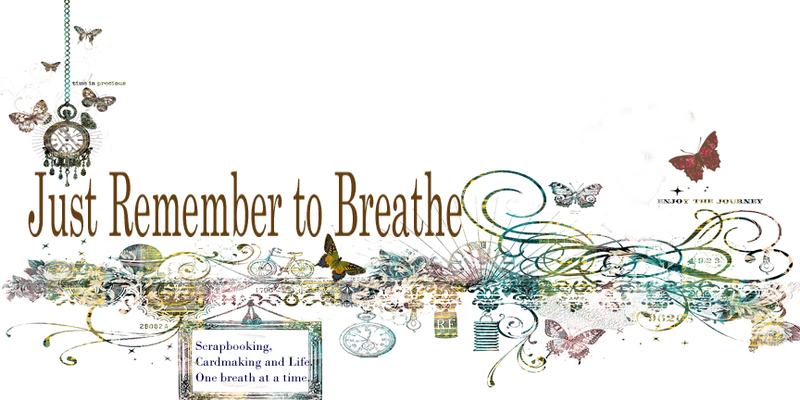 I love to make cards for special people and I also love receiving handmade cards from special people. I know what goes into the making of a mini work of art and appreciate the effort. Thanks PETA for your kind words and spending the time to show our cards. But then special cards are for special people.